I have a confession to make. I baby my kids. It actually hit me at bed time last week. I had just put Kingston and Gianna down when it dawned on me - I have a 7 month old that's still being swaddled and a 7 year old who refuses to go to sleep without lullabies. How did this happen and how did I not realize it sooner?! I had to do something about this and I had to start with the swaddling. As a swaddling advocate, this was going to be a challenge for me. You see, I'm the type of mom who truly believes in the swaddle method. So much so, that when I see a baby who isn't swaddled, it makes me mad. They just came out of that nice, snuggly womb and now they're out in this foreign world, un-swaddled, arms flailing, making them uncomfortable and preventing them from sleeping peacefully. Ugh. With that being said, I also realize that not all babies enjoy being swaddled and, if they do, that swaddling comes with an expiration date. One of which, I have clearly ignored. When Kingston was born, we used muslin swaddle blankets, but he quickly became a Houdini and we switched to SwaddleMe's velcro blanket. A few months back, when we initially discussed transitioning, we started using Love To Dream Swaddle UP. It's a transition swaddle that allows you to unzip the arms one at a time for a smoother transition into freedom. He was starting to roll over and we knew it was time to transition, but for one reason or another, it never fully happened. All that changed the day after my revelation. I got down to business and unzipped one of his arms. I began the transition with nap time in hopes that bed time wouldn't be as bad. Naps went well and, that night, I decided to free both arms. 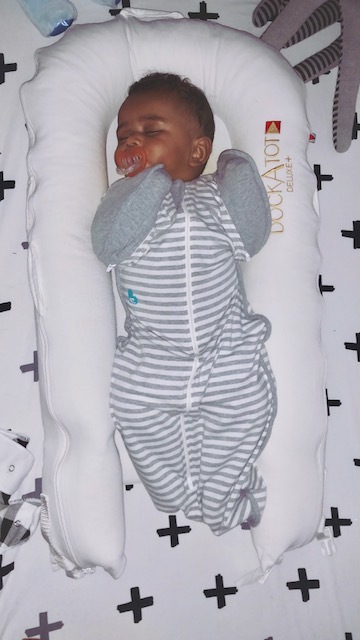 I should also note that, in addition to being swaddled, he was also sleeping in his DockATot which was placed inside his crib. Between that, the swaddling and rolling over, he was often ending up face down (scary!) 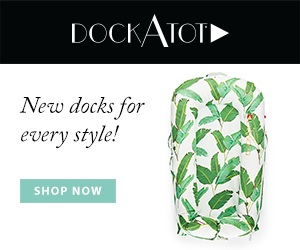 and/or draped across the side of the DockATot (uncomfortable :/). It was time to cut the cord and go cold turkey. 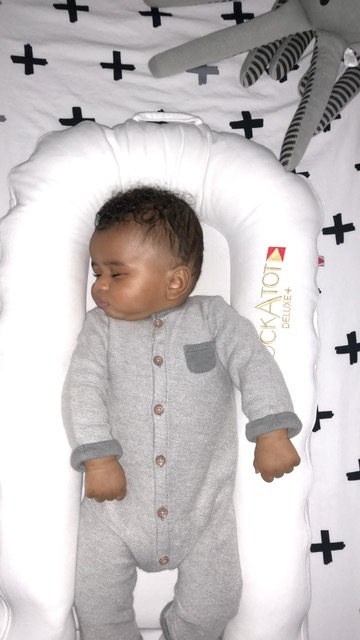 We ditched the DockATot, freed both arms, and prayed for the best. I'm happy to report that the transition went better than I expected. The biggest challenge has been getting him to sleep at night. He's been a self soother since birth, regularly putting himself to sleep after I lay him down in his crib. However, with his arms free and his DockATot nowhere in sight, he now seems to think it's party time. Rather than put himself to sleep, he grabs his feet, hits the happy baby pose and starts babbling to himself. I usually enter the room once or twice after that happens, give him his paci, rub his back and exit to let him self soothe.